The registration of twenty-four million men during World War I occurred at three different times during the years 1917 and 1918. 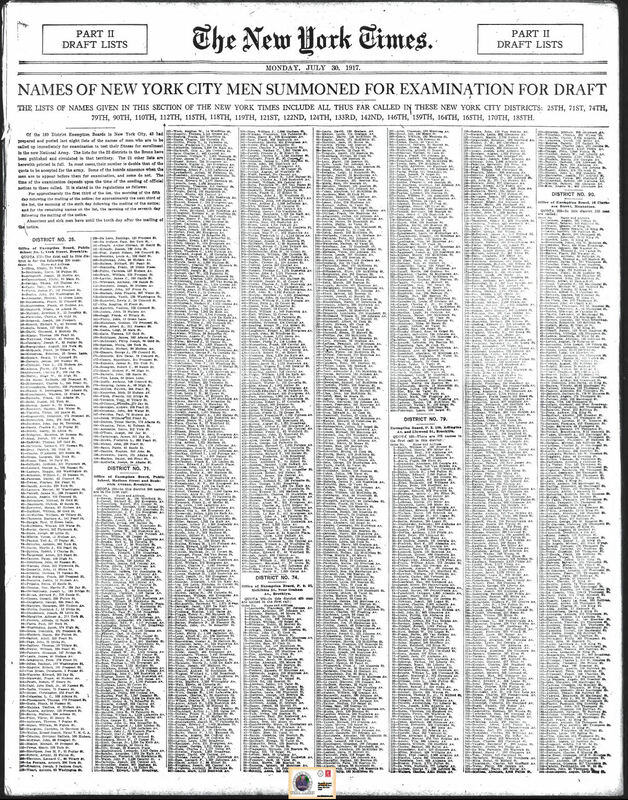 Below you will find lists of men who lived in New York City who had been summoned for an examination for the draft. 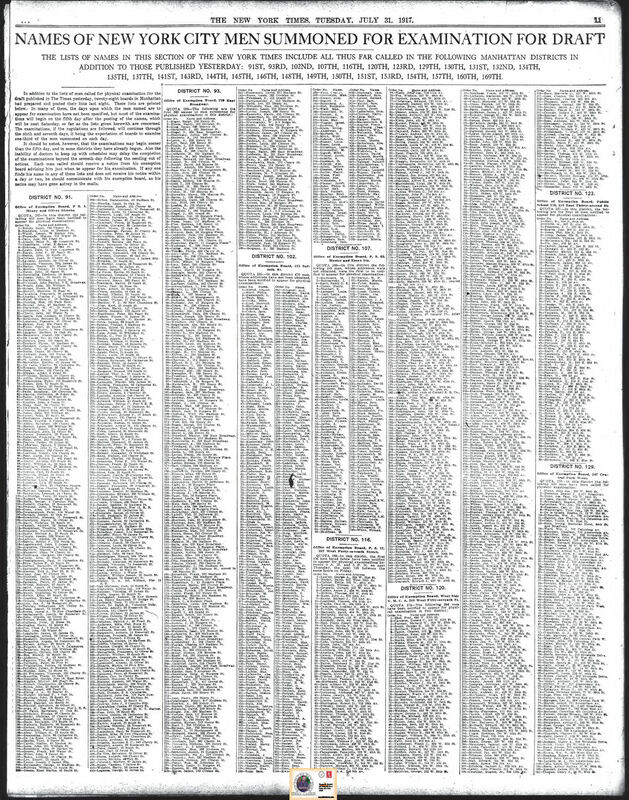 The list is organized according to the district each man lived in and also lists his home address. Just click on either of the two photos below to see the names of these men who lived in New York City (not including the Bronx). 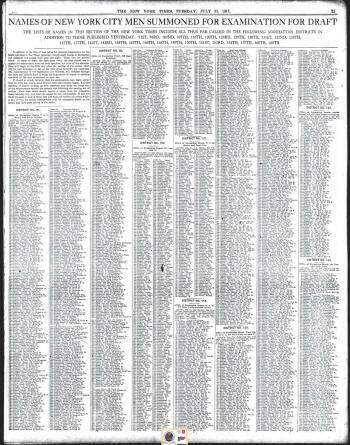 If the names are too small and fuzzy to read, you can always go to the website found at www.fultonhistory.com/Fulton.html and conduct a search for yourself. For example, if you are looking for a man named "Aaron Ness," you can simply do a search as such:"examination for draft" "ness". You will get nineteen hits, the first of which lists "Ness. Aaron." His address is listed as "105 Monroe Street." 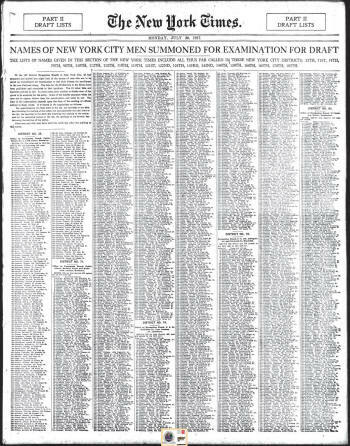 --photos of lists courtesy of the New York Times, Jul 30 and 31, 1917. From "Old Fulton New York Postcards."